Anyone, child or adult, can submit art work. There is a limit of 3 entries per person. Art work must be framed, matted, or mounted to a larger sheet of paper, preferably card stock or poster board. Each entry must be accompanied by an entry form. (See below to print a form.) Entry forms are also available from Brandy Robinson or from the church office. All artwork will be available for purchase. Prices will be by donation. The latest day to submit work is Wednesday, May 1, 2013. 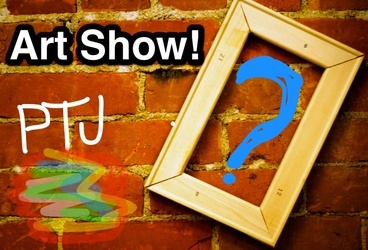 The Art Show will be May 5, 2013 following worship. Appetizers will be provided. One piece of artwork from each participant will be exhibited at the Johnson City Public Library for the month of June. All purchased work can be picked up in June. For more information, contact Brandy Robinson, Director of Children's Ministries, at children.fumc@charter.net or call 423-928-9222, ext. 7.